Pizza and a movie. Happy day. And a little bonus for you. 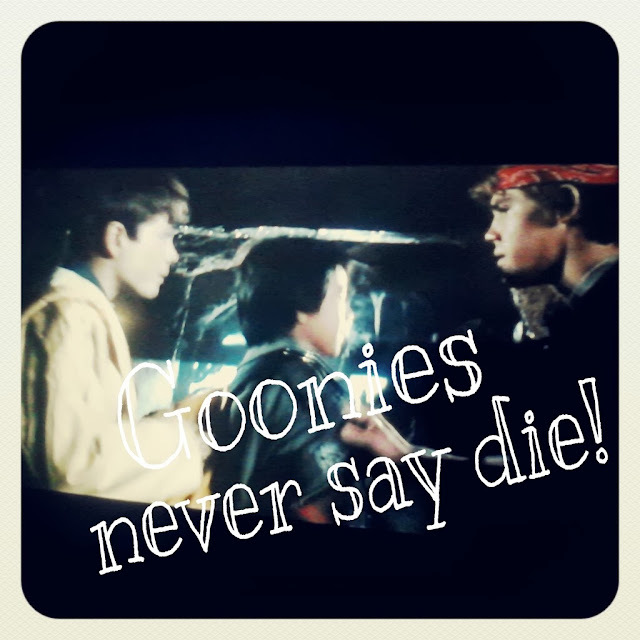 I have never actually seen The Goonies! Total '80s classic. I saw it 3 times in the theater, including my 8th birthday party. ;o) There is some language, for anyone who especially objects, but it's so much fun. Fun day!!!! Have your kids seen Bedknobs & Broomsticks? We just recently watched that one (it's long!) and Julia liked it. I think I may have showed Big Sis Bedknobs and Broomsticks, but it would have been so long ago, she wouldn't remember it. We had it on a VHS taped off the Disney Channel growing up, but I have no idea if my dad still has the tape. I should try to get a hold of it this summer. I love that movie, and they love Mary Poppins, which is similar in length. Monsters U. is playing at the drive-in, starting this Friday. I think we're going to try seeing it next week! It will be a late night, but it would be so much fun. I remember seeing that on TV a long time ago. Very funny and exciting! Indoor picnics are great. And much easier to eat (without pestering ants) and to clean up! 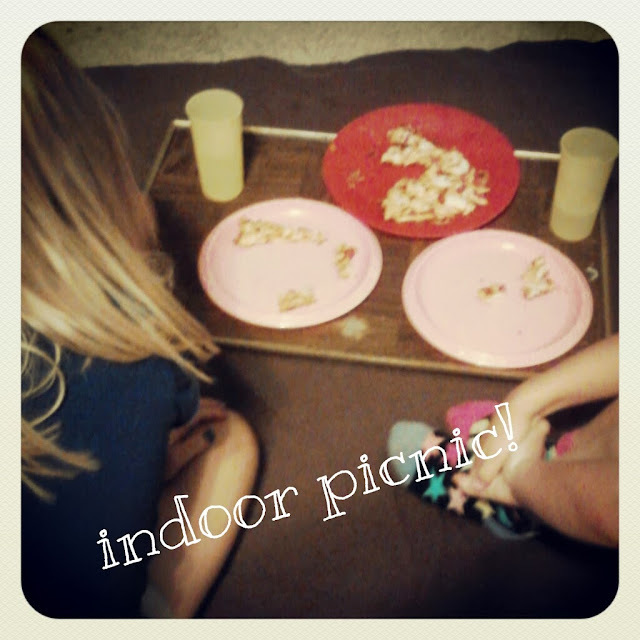 The picnic was Mr. B's idea. It worked for me!